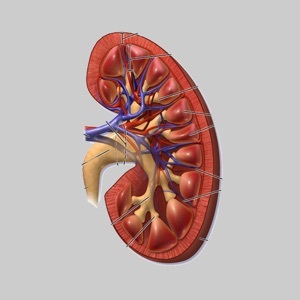 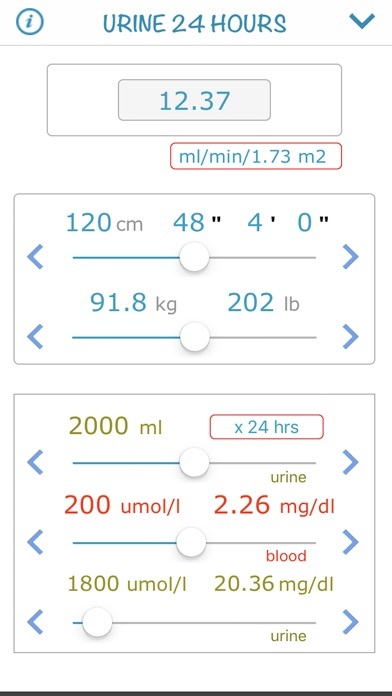 Creatinine Clairance calculator For adults and children In English & French Universal Application (iPhones & iPads) This application will help you compare the results of different equations used to approximate the creatinine clearance from serum creatinine values. 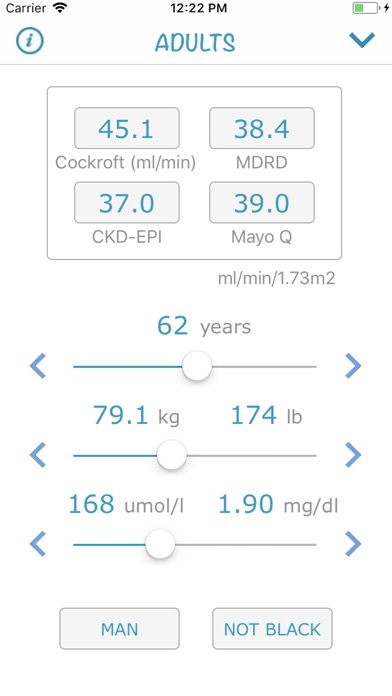 The comparaison is made between the Cockroft-Gault, MDRD, CKD-EPI & Mayo-Q equations for adults and the Schwartz, Counahan-Barrat, Traub-Johnson and Shull et al. 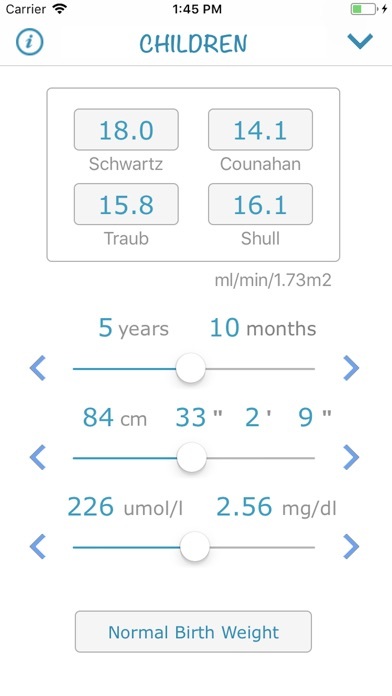 equations for children. 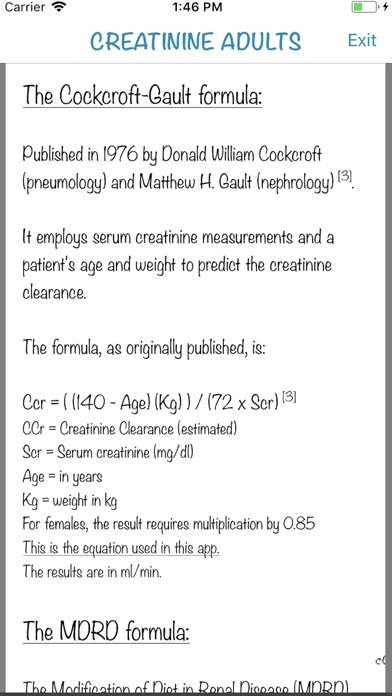 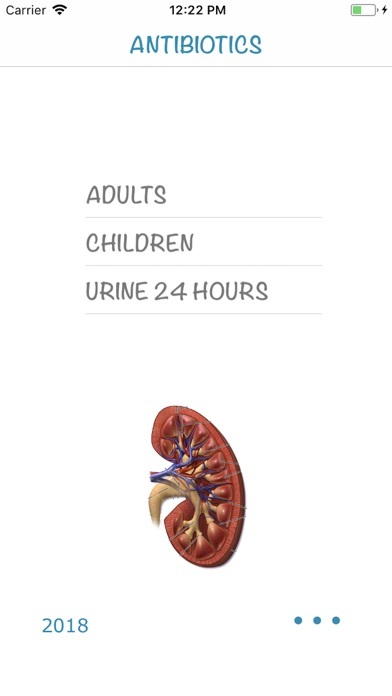 A calculator is also provided for creatinine clairance calculation for 12 & 24 urine collection sample.